With my head resting on a chair in a random roadside restaurant in Bangalore, I was trying to gasp for air and gather some energy to stand up. I’d just fainted – after 4 days and 7 hours of continuous sari shopping. Borders, golden threads and beads, meters of clothes of all colors… all of them were spinning around my head and merging in a wild dance of wedding shopping demons. On that day, or a few months later, was I thinking that may be it was not worth it? No, not a single moment, and I will tell you why. 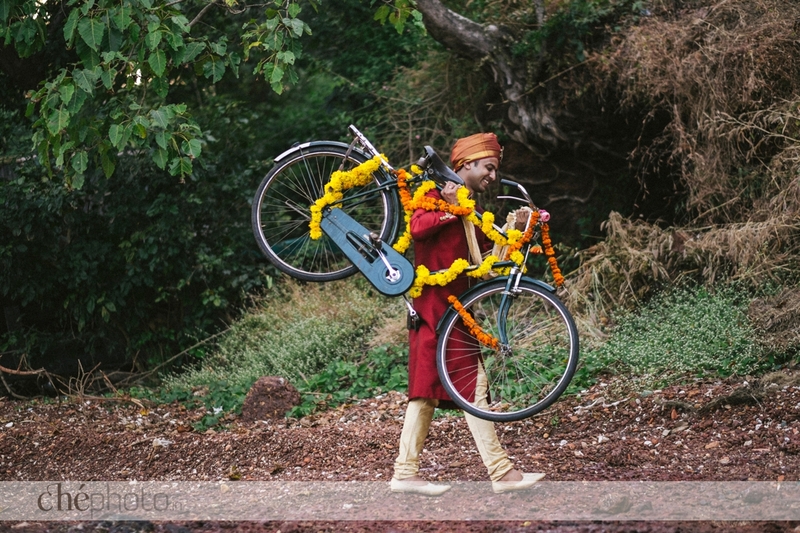 Being a guest at an Indian wedding is a unique, once in a lifetime experience. 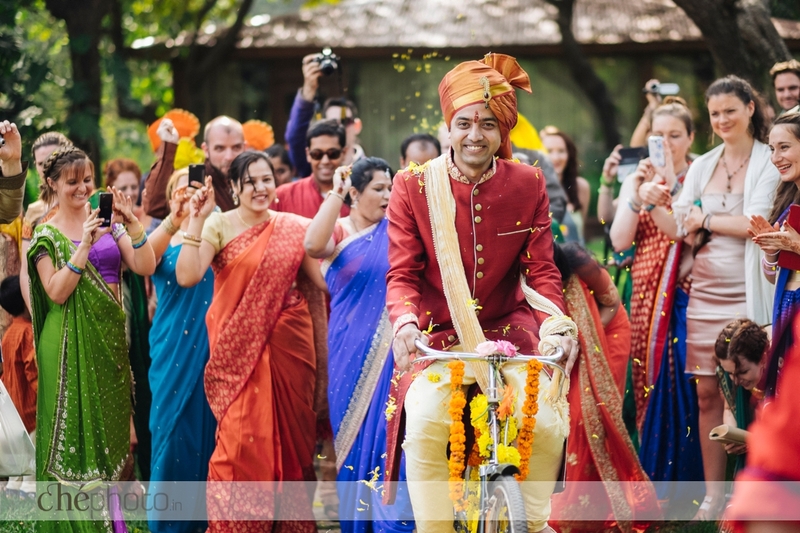 Organising an Indian wedding on your own is an experience which is worth a dozen of lives. The reason why Bollywood movies are centred around weddings is not (just) because of all the colors and flair. It is because any Indian wedding IS worth a movie. Or two. Mix it with a Russian one, and you can double the effect. In my culture, a wedding preparation procedure as well as its meaning has always been crystal clear to me. In no particular order: you find a dress, make a guest list, secure a picture-perfect place to sign the papers and exchange rings, organize an elegant party (as a crazy party might not please all the participants), and survive the big day from 7 am make up to the last disco beats with happiness or stress, or both. 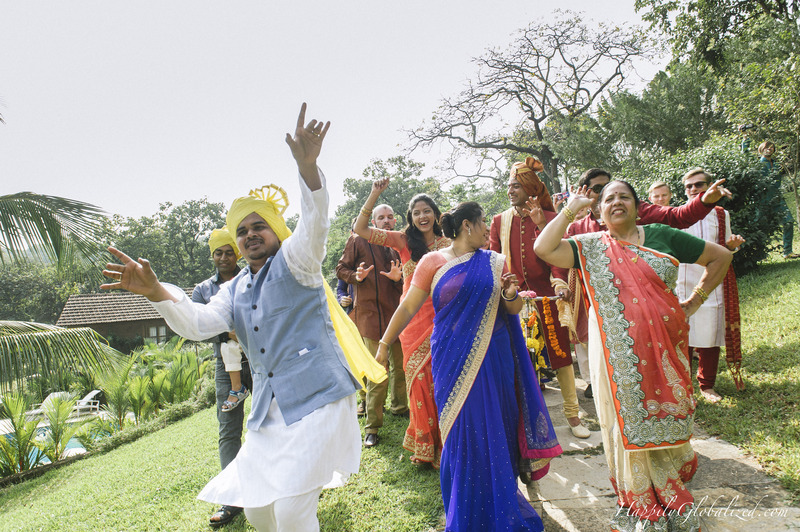 Our wedding turned out to be a very special affair not just because of a crazy mishmash of cultures. It truly celebrated what such an event is ought to celebrate – “togetherness”. It was the first time that our parents met each other. It was a weekend when we met our childhood friends after decades of not seeing them. It was a place to which people traveled for over two days across the oceans, or hopping from one train to another, without even questioning their travel destination. Thank you. 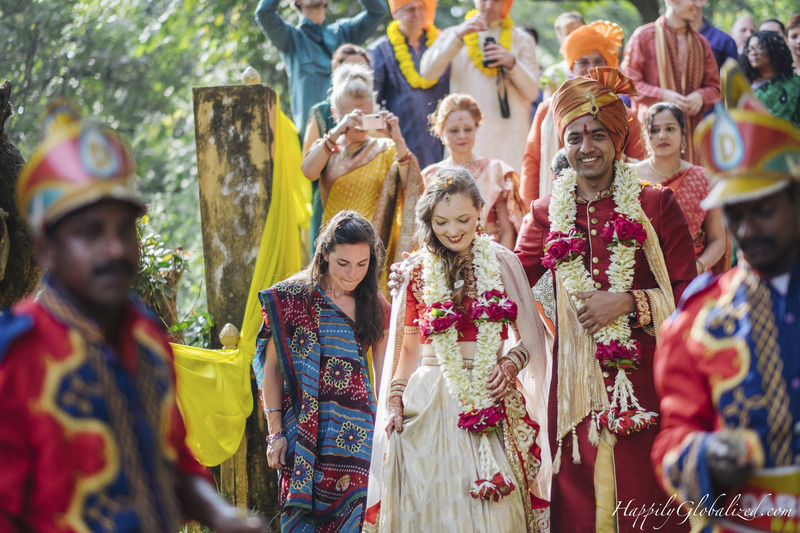 When we were organizing the wedding we wanted to cherish traditions, but also to fit it in the modern and intercultural context and top it with a never-ending celebration – which, thanks to our guest and families, didn’t appear to be such a difficult task. Both Russians and Indians are superstitious people – for that reason symbols, rituals and traditions were respected and gladly followed from both sides, which couldn’t make us happier. As responsible hosts, we tried to set an example by learning traditional dances from our own countries. To the disappointment of our guests, the first night had to be cut down short, to save some energy for THE day. In a traditional way, the celebration would extend for a few weeks, but we had 2.5 days at hand, with little desire to compromise on events. While the loud procession was slowly moving to the wedding venue, I was hiding in a wooden house, thinking of being a “shy” bride, but failing miserably to be one! The ceremony had started with the mesmerising chanting by the Hindu priests, which made all my worries, concerns, fears (mostly about somebody getting a sunstroke) and mind fluctuations fade away. The garlands and rings were exchanged which meant that from that moment on we officially and publicly accepted each other as husband and wife. Heading to the mandap to perform a sacred wedding ceremony. Before organizing the wedding I read as much as I could to find out about the traditions of Hindu wedding and was deeply touched by the meaning of each tiny step during the rituals. The most emotional part (for the family of the bride) is when parents “hand over” the bride to her husband and his family, and pray that he treats her well and that a happy destiny lies ahead of her. Unseen by most eyes this was the moment when my family was all teary-eyed, which made my heart cringe and my eyes cry. 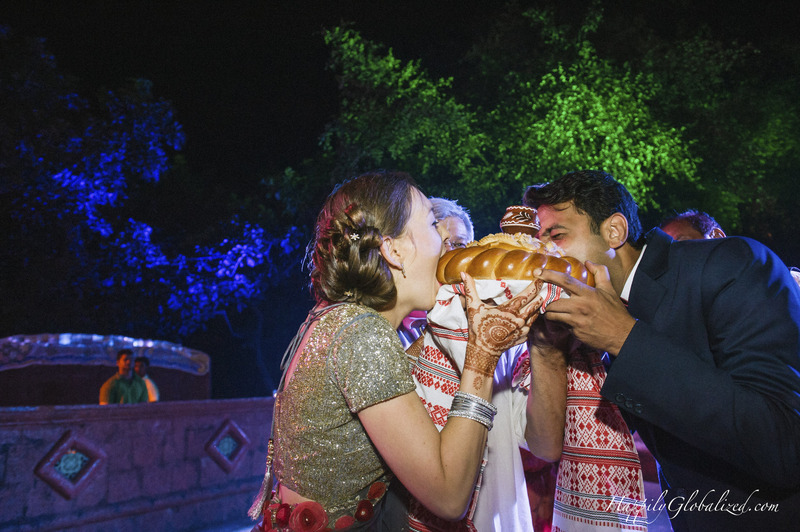 The ceremony was concluded with a traditional photoshoot – this is the point of the weddings when a bride and a groom usually only want to eat and sleep. But the ocean did its job, and last bits of energy were quickly restored. And then the fun has begun! 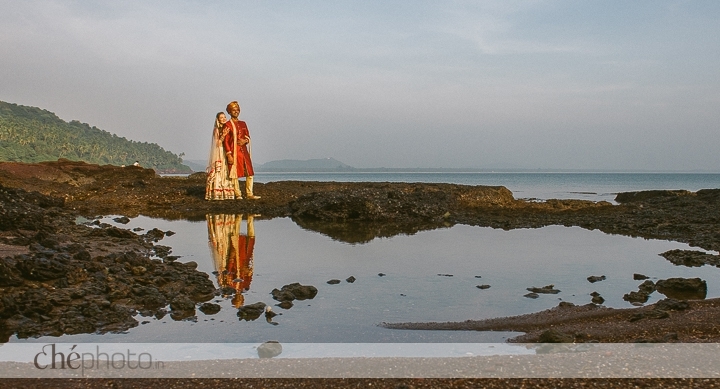 All pictures in this post were taken by talented Chenthil Mohan. PS. I’ve said it many times but it will never be enough. Thank you to our friends and family for being just who you are and how you are. You are exceptional. Thank you so much for this post! 🙂 It was so nice to freshen up the memories of this great adventure of your wonderful wedding!!!! Hugs!! You are welcome! And thank you for being there, as well as supporting us (and especially me personally) so much! how are you? could you please tell me are you living in India or Russia? why I am asking is because my girlfriend is in Moscow and I am in Delhi and we are still discussing possibilities of being together. Oh Nastia, you made me relive those moments! Wow! As a marriage celebrant in Australia, this really helped me with an assignment I had to do for some ongoing professional development. I hope you don’t mind, but I have quoted some portions from this blog. In my assignment, I have to assist a couple to enhance the wedding ceremony with music and in the scenario, the groom is Indian and the bride is Russian. 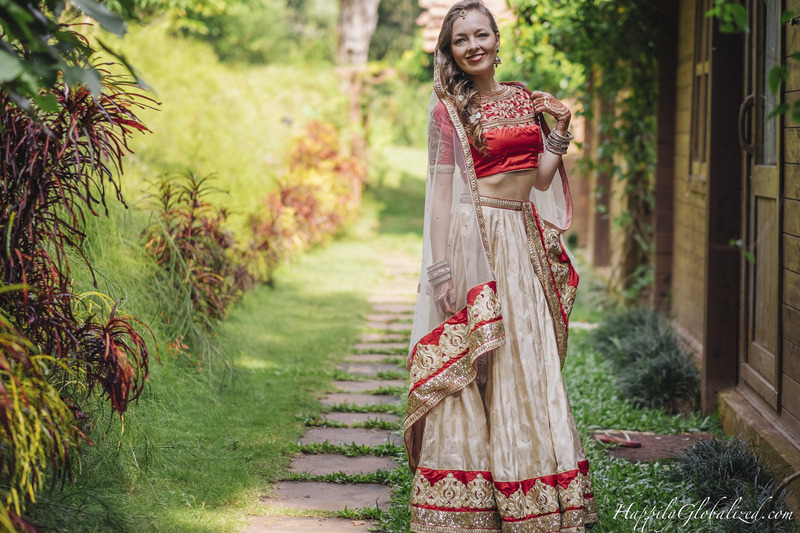 Of particular interest to them is blending the cultures for the wedding. Thank you for this information. Gifford, I’m very happy if it was helpful for you! We organized everything ourselves and it was not easy, but was utterly rewarding – we also wanted all the guests to see the meaning the traditions have for both our sides.